A loan is a sum of money that is expected to be paid back, usually with interest. There are loans that are made between friends and family, and do not have a signed Loan Agreement. This is called a friendly loan. However, for businesses, the parties concerned would need to have signed Loan Agreement Forms so that the person who borrowed the money can be held legally liable if he ever fails to pay back the loan. 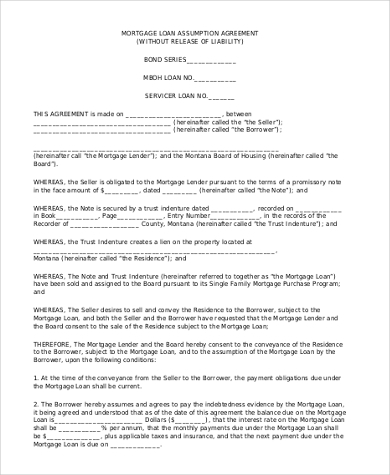 Mortgage Loan Agreement Form: This is used for mortgage loans. A mortgage loan is a loan to finance the purchase of a property, usually stipulated with specific payment periods and interest rates. The property can also be used as a collateral when borrowing money for any other purpose. This makes the loan secure because the lender can take and sell the property if the borrower ever defaults on the loan. 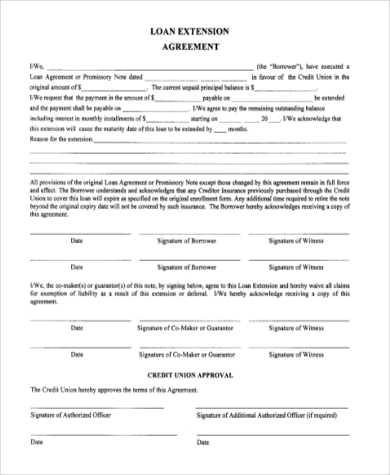 Secured Loan Agreement Form: A secured loan is when someone uses an asset, either a car or a real estate property, as collateral for the loan. This makes the loan secure. 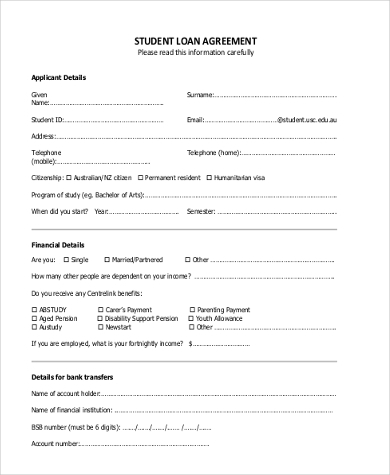 Employment Loan Agreement Form: This is entered into by an employer and an employee when the former provides a loan to the latter. 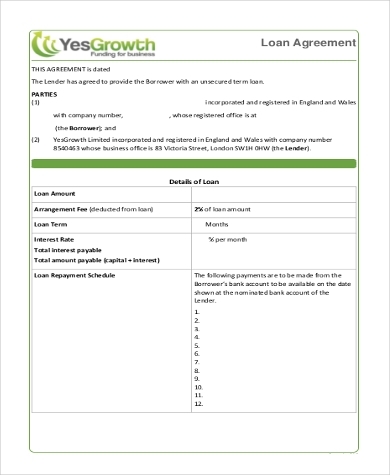 Loan Guarantee Agreement Form: A loan guarantee is a promise by a guarantor of a loan to pay off the loan in the event that the borrower defaults on the loan. The guarantor may pay off part of the loan or its entirety, depending on the terms stipulated on the agreement. 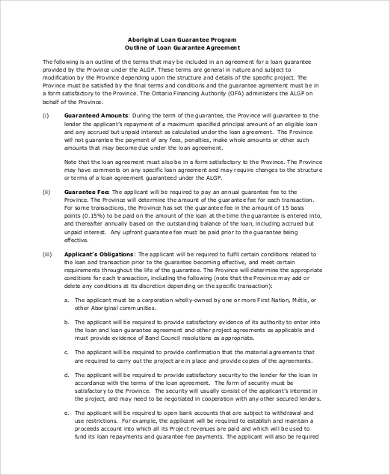 Loan Extension Agreement Form: This is an agreement entered into by the borrower and the lender when the borrower cannot pay off the loan. They can extend the terms set on the initial loan agreement to make it easier for the borrower to pay it off. Some modifications may also include reducing the interest rate. 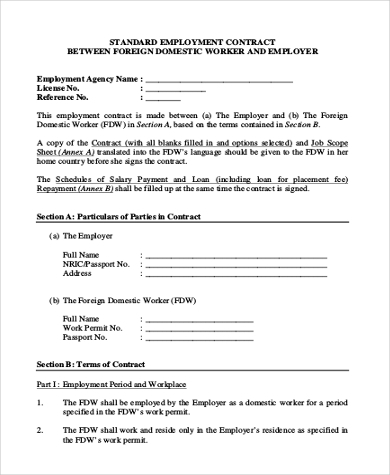 You may also check out our Personal Agreement Forms for samples of agreements used for personal purposes. Non-Recourse Loan Agreement: A Non-Recourse Loan is a loan that is secured by a collateral, which is typically a property. For this kind of loan, if the borrower defaults, the lender may seize the collateral and sell it to pay off the loan, but he may not go after the borrower for additional compensation if the total value of the collateral is lesser than the defaulted amount. 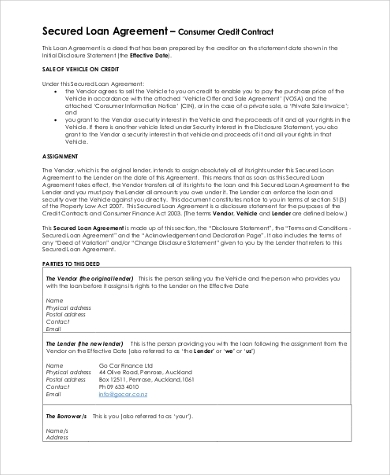 Student Loan Agreement: This type of loan agreement is entered into by students to borrow money to pay for their education, which includes tuition, books and supplies, living expenses, and other fees. 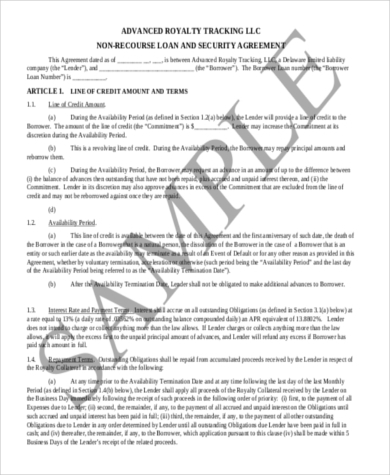 Like any other Agreement Forms, a Loan Agreement has to have conditions that are reasonable and would protect the best interests of both the lender and the borrower. This is important also to make sure that the lender has options if the borrower ever defaults on the loan. 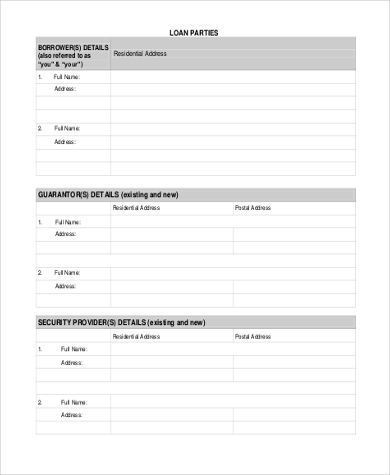 You may also see our Construction Agreement Forms for agreement forms relating to construction.